Our customers say: "I wanted a comfortable non-wired bra and I'm very happy with this one. I recently found out that my regular bra size was wrong for me. I went down a band size and up a cup size and this bra fits perfectly, more importantly it's very comfortable." 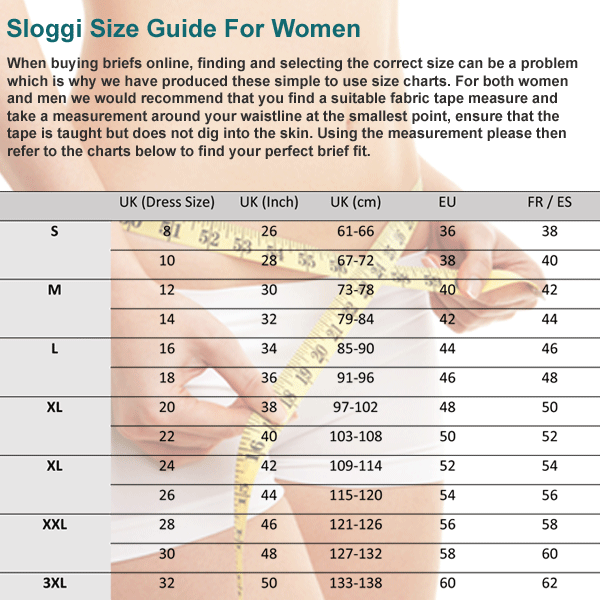 Why Buy The Sloggi Basic N Bra? I bought these as I'm about to go on holiday in a hot and humid climate. They are very comfortable and should be ideal. Have had this bra before and really like the fit and comfort. Nice and cool in the hot weather over here in Oz. If you dislike underwires and are after comfort, this is the bra for you. Bought 2 for my mum who already has 2 and she loves them. Great product. Got what I ordered. Well pleased.